George Lewis Becke (1848-1913) was an Australian short-story writer and novelist. He began his voyages in the south seas at a very early age and there are two accounts of these beginnings: one by the Earl of Pembroke, who presumably obtained his information from Becke, which is prefixed to By Reef and Palm (1894), and the other written by Becke. 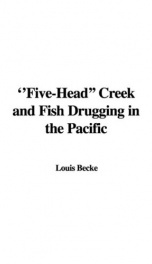 It is difficult to reconcile them, and all that is certain is that Becke spent many years on vessels trading in the Pacific islands. Becke went to London, and he remained in Europe for about 15 years, during which time a large number of collections of short stories and a few novels and stories for boys were published. He was fairly paid by the magazines for his stories, but he always sold his books outright. About 30 of Becke's books are listed in Miller's Australian Literature with six other volumes written in collaboration with W. J. Jeffery. Among Becke's books are: The Naval Pioneers of Australia (1899), and By Rock and Pool on an Austral Shore and Other Stories (1901). --This text refers to an alternate Paperback edition.